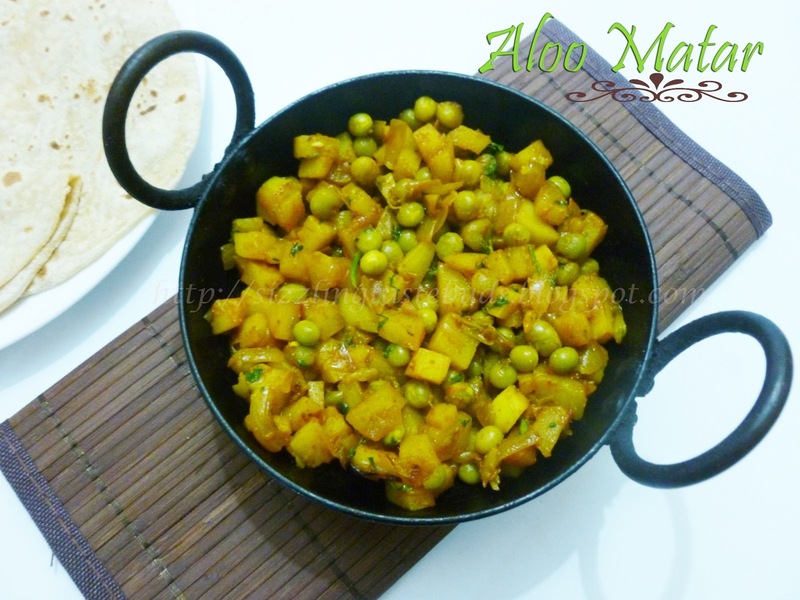 Today's special recipe is Aloo Matar, the most popular Indian dish. 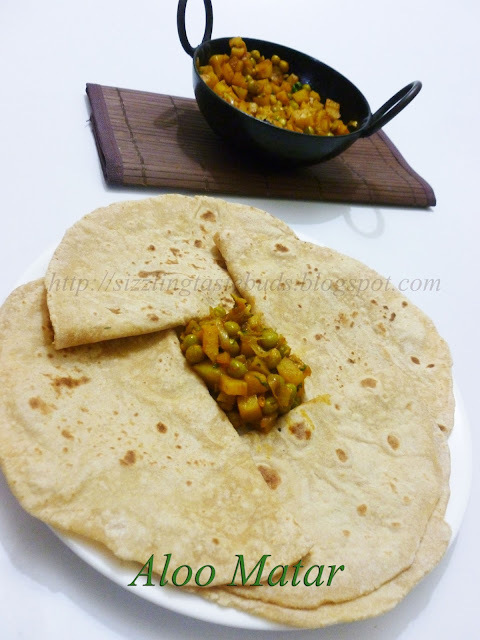 Its cooked with Potatoes and Green peas and blended with some Indian Spices which goes well with Chapati's or Roti's. 1. Cut Potatoes into small cubes after peeling and washing them. 2. Heat 2 tsp oil in a wok. Add chopped or sliced Onions and fry till they turn translucent. 3. Add Potato pieces and little water. Mix once and cook, covered with a lid till potatoes are 3/4 cooked. 4. Add all the dry spices, Salt and boiled green peas. 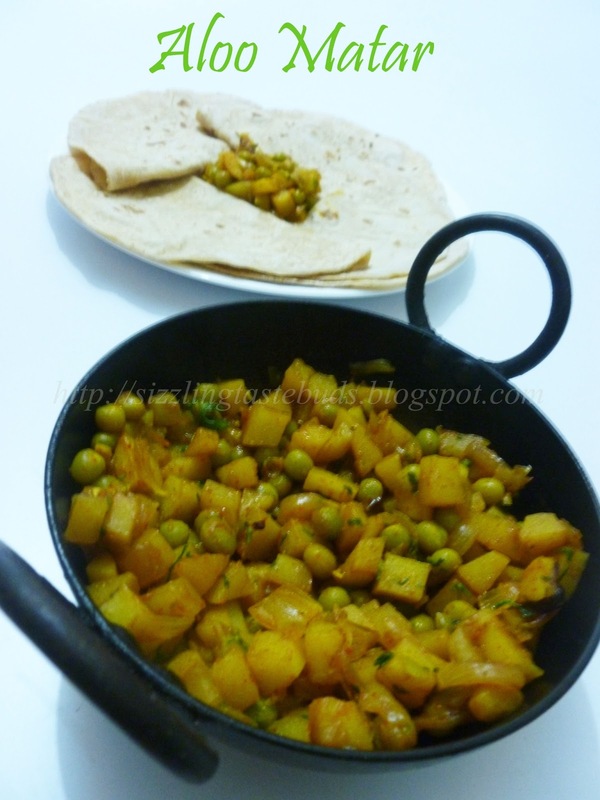 Mix once again and cook till water evaporates and potatoes are cooked completely and blends neatly with the spices. 5. Switch off the flame and add some fresh chopped coriander leaves. Best Serves with Chapati's or Roti. Super dish and i loved it alot. Thanks for giving such an nice recipe and great post. Thanks. Click For Drink Recipes.